✓ 100% Happiness Guarantee – We want you to love your product. If you have a problem, we will fix it. ✓ Outstanding Customer Service – We are always just one email away. ✓ Premium Quality – Our product is made to the highest standards. ✓ Full Replacement Guarantee – Buy with confidence. We stand behind our product. 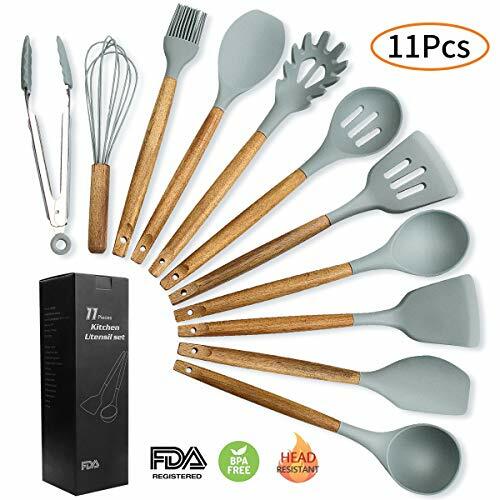 HIGH QUALITY, HEAT RESISTANT SILICONE HEADS of our best cooking tool set are very well made of eco-friendly, non-toxic, BPA free and FDA approved materials. 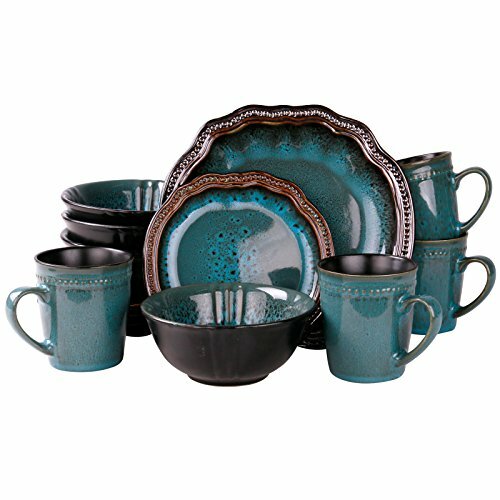 These kitchen essentials can withstand temperatures ranging between -22°F/-30°C to 392°F/200°C. They do not melt on the stove and work great on non-stick cookware. The household gadgets are sturdy and our extra wide slotted turner can easily support a pancake, flip an egg or handle anything bigger. 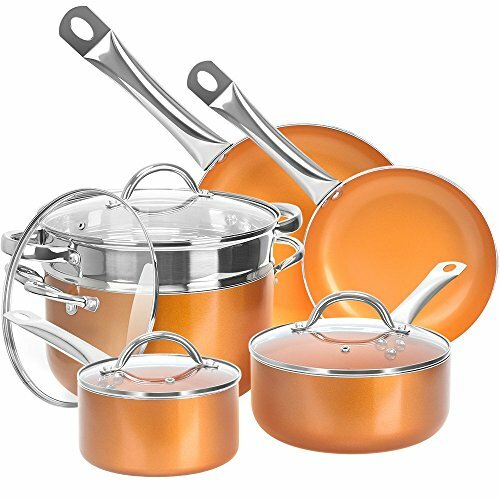 ANTIBACTERIAL, HIGHLY DURABLE AND WATER RESISTANT ACACIA WOOD HANDLES of this cookware set are gently rounded and therefore easy to grip. Acacia is genuine hard wood rich with natural oils that give it natural water and fungus resistance. Acacia does not wear and tear easily either. 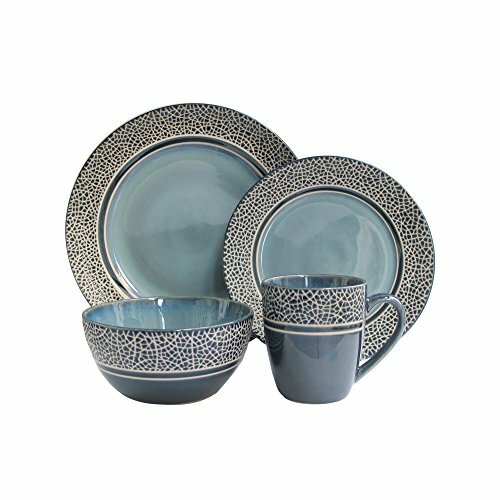 It is also naturally antibacterial and therefore safe to use for preparing and serving food. STAIN RESISTANT AND EASY TO CLEAN – our silicone kitchen spatulas are easy to use and clean as they do not stain. Although acacia wood is water resistant, it should not be soaked in water or exposed to extreme hot or cold temperatures. Hand wash recommended. MADE TO LAST A LIFETIME – high quality silicone heads of the cooking spoons are firmly bound to their durable acacia handles that can last up to 40 years. They do not rip or break off of the handles. There are no dodgy chemical smells either! 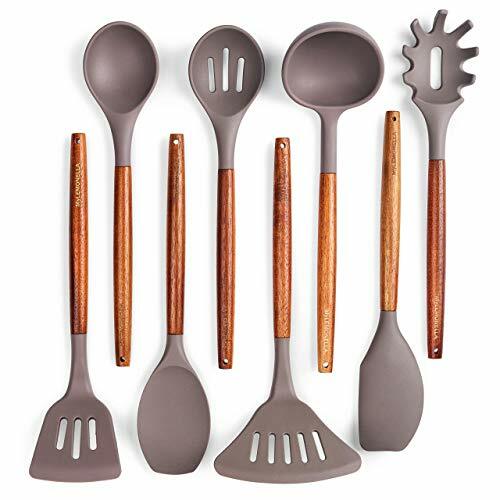 LOVELY NEUTRAL GRAY AND WOODEN HANDLE COMBO will give a warm, rich touch to any home by blending in with any kitchen decor. Our cooking utensils look great in a glass container on the kitchen counter and can also serve as a wonderful wedding or housewarming gift. Nice and easy to clean Love the look, easy to clean. Some are a little awkward shaped and using one of the scrappers to scrape out soup from a can it got cut along the side, wish they would of had a smaller one with it. Also one of the spatulas are too wide. Over all I am happy though. Awesome!!!!! 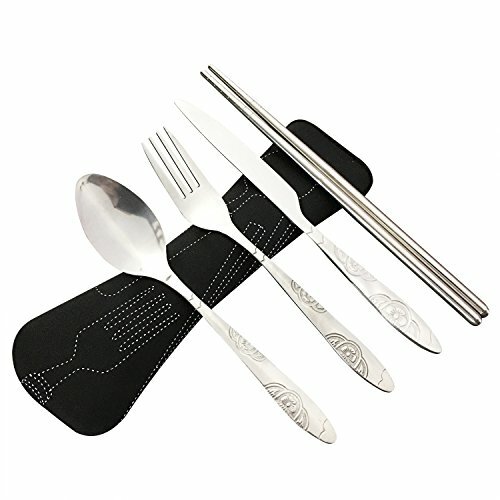 Got the wife these to replace most of our “SET”, after using most of them cooking and serving on the first meal, I can say that they are great utensils. Easy to handle with the thick handles. Cleaning them was a breeze and the finish on the handles ws done nicely. Highly recommend.